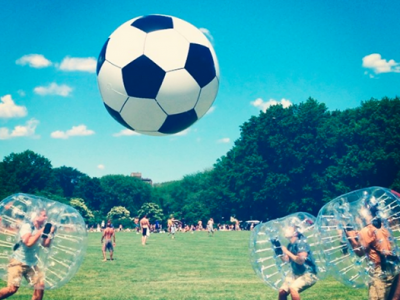 Born in Norway, Bubble Soccer has very quickly expanded and is now being played here in Northern Colorado! 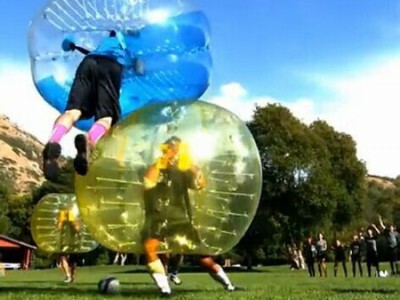 It’s full contact soccer at its best. The rules are simple. Stay alert, look all around you, and oh yeah…. SCORE GOALS!!! 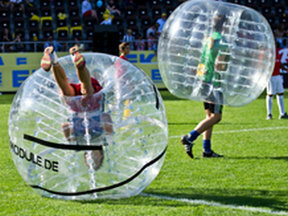 In Bubble Bump Soccer, the best part are center dash kick offs after each goal scored in the game, and there’s no such thing as off sides! There really isn’t a official “goalie” so if there’s someone in your way – “BUMP” them! This game is exhausting!! Be prepared to SWEAT! 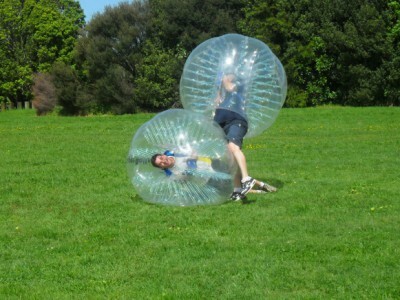 Canada Offical Bubble Soccer Body Zorbing On Sale!